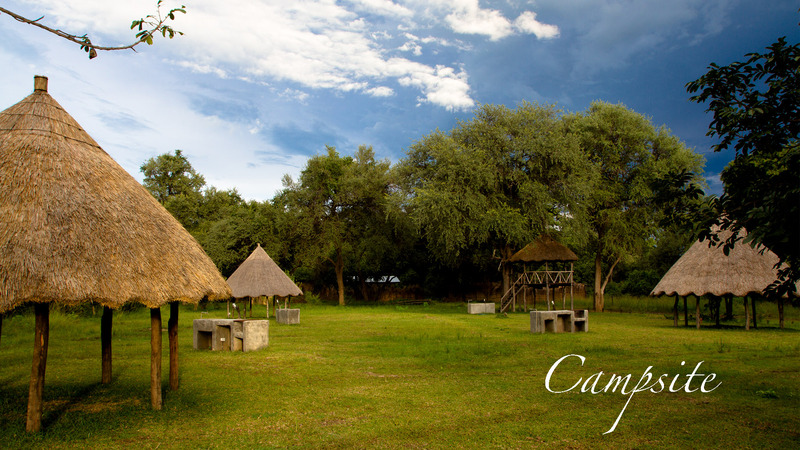 The adventurous travelers are welcome at our camping area. Each camping spot with its own bbq island with cold running water and a ‘mopani’ light for when the nights falls. Our campsite has a well-kept ablution block. 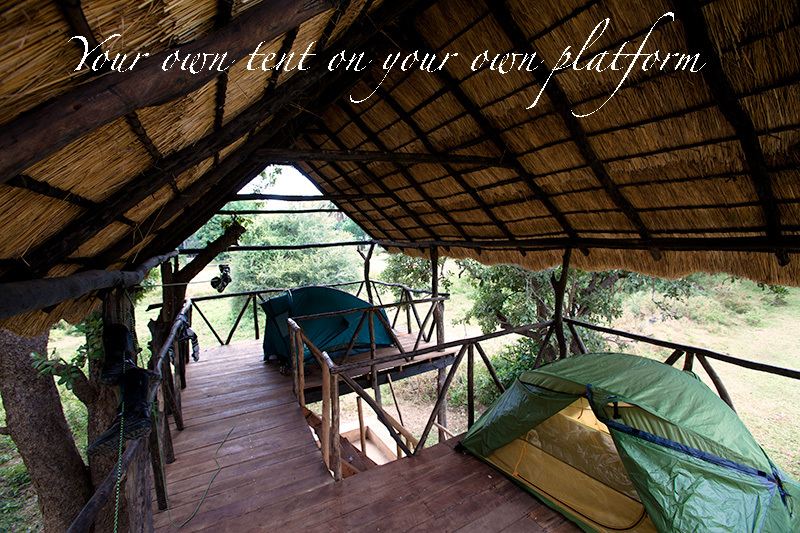 We offer several summer huts for privacy and shade and two 4-metre high platforms. All camp spots have electric plug-in (220V) power points. There are several summer huts for privacy and shade and two 4-metre high platforms were a tent can be pitched on top. Sleep on top under a blanket of stars and see the surroundings from a different angle. It will give you a great view! We do have very naughty visitors at the campsite, and some of them know exactly when it’s breakfast – lunch and dinner time. How?…because these visitors will join the feast while you are not watching for a split second. 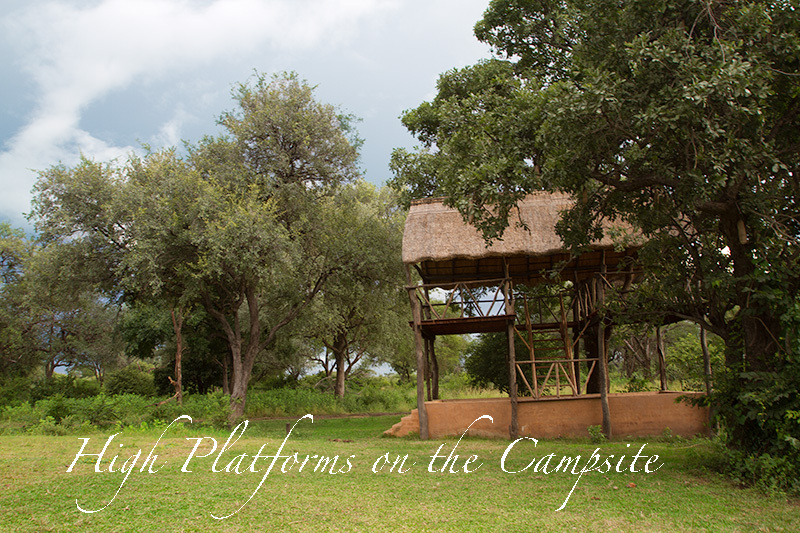 Our Luangwa campsite is fenced off at the moment to keep our naughty elephants away from your lunch box. But still we have monkeys and baboons. That’s why we ask you to keep your fresh food supplies stored in our fridge at the Track and Trail bar. Most of our campers will come with their own vehicle and will do self drives in the South Luangwa National Park. Whenever you would like to join a professionally guide Game drive, Game walk or Evening drive. Please feel free to book any of the activities from our reception. And if you ever get tired of Camping, you can always upgrade yourself into one of our lovely chalets on the Luangwa River side. We carefully select big group enquiries, to guarantee privacy and tranquility for all our guests on site.